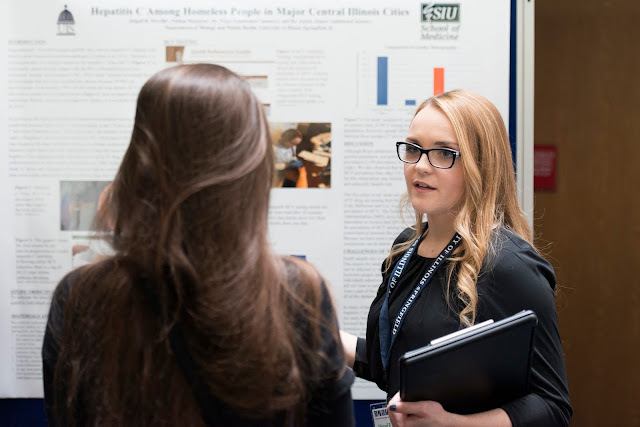 WHAT: The University of Illinois Springfield presents the 7th annual Student Technology, Arts & Research Symposium (STARS). The two-day event showcases student research and creative activities during the academic year. All events are free and open to the public. WHEN: Thursday, April 5 from 4 to 9 p.m.
Friday, April 6 from 9 a.m. to 9:30 p.m. The Launch of the “Alchemist Review”, a literary journal, takes place in Brookens Auditorium at 6 p.m.
Keynote Speaker Chen Chen will speak at 7 p.m. in Brookens Auditorium. His A. Poulin, Jr. Poetry Prize-winning book “When I Grow Up I Want to Be a List of Further Possibilities” is longlisted for the 2017 National Book Award for poetry. He will sign books during a reception that follows his presentation. Keynote Speaker Rashawn Ray, Ph.D., associate professor of sociology at the University of Maryland, College Park, will speak at 1 p.m. in the Student Union, as part of the Engaged Citizenship Common Experience (ECCE) Speaker Series. Ray is the author of “Race and Ethnic Relations in the 21st Century: History, Theory, Institutions, and Policy.” He will speak on the divisiveness plaguing the country and how social media seems to be used as a tool to segregate and isolate rather than unify. An Implicit Bias Workshop led by UIS Assistant Professor Carlee Hawkins, Ph.D. will take place from 2-3 p.m. in the Student Union, followed by a reception for Hawkins and Ray from 3 to 3:30 p.m.
For the full STARS schedule, visit http://go.uis.edu/stars/. Questions may be directed to Brian Moore at 217/206-6664 or STARSymposium@uis.edu.